WHAT WILL YOUR CITY BE IN 2050? Imagine the Greater Boston region in 2050. The local sea levels will have risen by as much as 1.5 meters. King tides, caused by the gravitational interactions of the earth, sun, and moon will flood low-lying areas with every new and full moon. Coastal storm events, like hurricanes, will occur more often and with greater force. Due to rising temperatures, the New England summer will look more like that of Washington D.C. Heat waves will be hotter and longer, tripling the heat-induce mortality rate. The Northeast will see a continual increase in extreme storm events. This will disrupt transportation and cause flash flooding over built-up urban areas (Climate Ready Boston, 2016; and Cambridge CCVA Report, 2017). These projections are alarming. Yet, we believe there are ways to mitigate and prepare our communities for the climate changed. In this competition we explore the power of models: to illustrate large and small scale shifts, to calculate uncertainty, to communicate predictions, and to show the community how events will unfold. With this in mind, we ask you to “model” an idea on one of three Greater Boston sites that addresses at least one climate hazard, and show how modeling can help transform the site in a climate changed. Teams are asked to select one of the three sites: the MIT campus and its surroundings, East Boston Greenway, or the Fresh Pond & Alewife areas. See the competition brief PDF (linked at the top of the page) for full competition details. Explore the agency of models to develop new ways of seeing the site and to design an intervention. Develop an intervention to address site-specific climate risks based on your model. Show how your proposal will be better the site and community in question. IN DESIGN AND POLICY MAKING? A model is the representation of a system, process, or concept that serves to demonstrate, analyze, test, or imagine an idea. It can be constructed from various media and methods, and operate at diverse spatial and temporal scales; it may be computational, mathematical, statistical, a visualization, simulation, map or physical object. In this competition, we consider two types of models, the scientific model and the design model. A scientific model provides the analytical basis for making informed design decisions. A design model envisions futures that call for scientific inquiry and discovery. In both cases, models have the power to motivate the proliferation of pathways that can lead toward a more sustainable, humane, and climate resilient future. Teams are required to utilize at least one method of modeling—building their own model or employing an existing model—in the development of their idea proposal. The aim of the competition is two fold: first, to explore how design can inform the communication of scientific modeling and natural phenomena; and second, to explore how scientific models inform the development of design solutions. This competition is meant as an opportunity for scientists, researchers, students and others to consider the ways in which models can effectively communicate scientific principles, in addition to leading to design solutions. As such, the model employed is just as important as the site-specific intervention proposed. 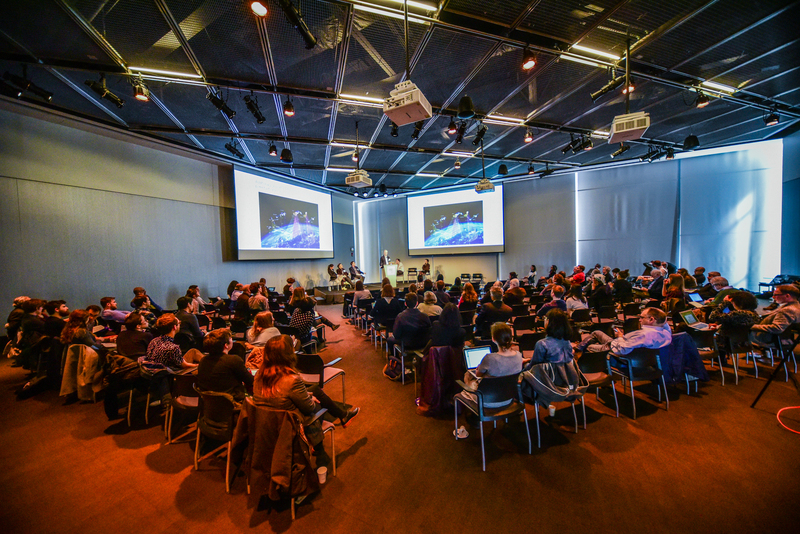 Competition winners were announced at the Climate Changed symposium on April 21, 2018 at MIT. In total $15,000 was distributed amongst the winning teams. All submissions were included in the spring Climate Changed exhibition. Click on the proposal name to view the video. The competition is open to students, emerging scholars, researchers and practitioners. 1. People of all ages are welcome to participate. 2. MIT affiliation is not required on a team. All individuals may participate regardless of MIT affiliation. See the competition brief PDF (linked at the top of the page) for full competition rules. Are you looking for teammates? Add your name here and we will try our best to connect individuals with similar interests! Please note that we will continually update this section as questions are received. As a scientist, when I think about models related to climate change, I think of the general circulation models. What is the definition of a model in the context of this competition? We define a model to be the representation of a system, process, or concept that serves to demonstrate, analyze, test, or imagine an idea. It can be constructed from various media and methods, and operate at diverse spatial and temporal scales; it may be computational, mathematical, statistical, a visualization, simulation, map or physical object. In this competition, we consider two types of models, the scientific model and the design model. A scientific model (such as a GCM) provides the analytical basis for making informed design decisions. A design model envisions futures that call for scientific inquiry and discovery. We ask that you think broadly and loosely about how different types of models interact and how information from one is translated or scaled up/down to answer questions at a different resolution. The competition brief asks for a vision designed for 2050. Given that climate change will have impacts beyond 2050, can we think / design for the longer term? Yes, definitely! While we ask that your proposal address the conditions in 2050, we encourage the proposal to be resilient for the longer future. Be sure to express this in your proposal submission. How are we to imagine the world to be in 2050? Can we assume changes that have not yet happened, such as the Sapphire Necklace that is proposed for the Boston Harbor? As we ask you to consider a future vision for the Boston area, you may assume that certain changes have happened in the city, region, and beyond. Your model and site intervention should take these changes into account. If you do include future changes in your thinking, be sure to clearly communicate this in your proposal. How did you select the three sites? We chose the three sites because, while they are all at imminent risk of climate-related threats, they are wildly different in their particular conditions. Each site is facing its own unique impacts due to its location, community needs, infrastructure, and existing built environment. At the same time, each site has been the subject of previous climate-related analyses to varying degrees. In some cases, there is a wealth of data, while in others there is limited information. The range in data availability as well as the diversity in urban conditions presents a unique challenge for each site. Scientific model specs can be very long; much longer than 500 words. Can we submit material to supplement the modeling narrative? You may additional material in your submission, such as your model’s full specifications. These can be uploaded as additional files on the proposal submission site. When submitting material please be selective and clearly explain what each component adds to the proposal. Remember that if you submit too much, it may muddle the clarity of your proposal. Consider how each part of the submission adds to the jury’s understanding of your modeling process and the development of your site proposal. Can you say more about involvement of those outside of MIT? Can we work with a company? Teams may choose to organize however they see fit. Keep in mind that each member of the competition team must meet the eligibility requirements and that we will be attributing the submitted proposal to the individuals listed in the team roster. Can we submit work from another academic class or project as a proposal? Participants may draw from previously done work, however your submission should directly address the competition brief and therefore should be revised or modified accordingly. What is the feedback process between climate models and design? Since the development of the first general circulation model in the 1960s, computationally-driven models have served and continue to serve as the primary mode of understanding, representing, analyzing, communicating and shifting the world in a climate changed. Climate Changed: After Models? looks at the common language and use of modeling between design and the sciences. Climate Changed: After Models? positions a range of historical and future speculative modeling proposals together from the 1960s onward to explore how design has responded to climate-related models and the reality of climate change. The historical projects from the 1960s to the 1990s specifically focus on how designers, architects, engineers, consumers, and policy makers have understood the post-1960s moment as a period of changing scientific awareness around the agency of climate-related models. Coupled with a growing connection between environmental change and the built environment various changes on the ground occurred including: shifting consumer expectations, policy implementation, and projects built under the new paradigm. We ask: What happens after and between models in these projects? Also included are speculative proposals for the future of the Greater Boston area from the Climate Changed Ideas Competition. In these proposals, current students and thinkers in design and the sciences use climate models and data to inform site-specific design interventions and climate-related planning strategies to help illuminate the agency of models today. By articulating the historical, present, and future role of climate-related models and illustrating their use in policy formulation and implementation, architectural practice, the protection and utilization of natural systems, and the forward-thinking planning and construction of cities, this exhibits hopes to bring multiple disciplines in conversation to discuss how the earth’s climate is understood through modeling and how this informs on-the-ground practices. Exhibition opening at MIT on April 6, 2018. In the 1960s, the National Oceanic and Atmospheric Administration (NOAA) created the first general circulation models simulating Earth's oceans and atmosphere, shedding light on their combined impact on the global climate system. Since then models have served as our primary mode of framing, analyzing, understanding, representing, translating, and designing the built environment for a changed climate. This two-day symposium brings together experts in the sciences, humanities, and the design world to explore how models act in a climate changed. The symposium is open to all however advanced registration is required. Register via the link at the top of the page. Lecture followed by a reception. Aerocene is a project by MIT Visiting Artist Tomás Saraceno and EAPS Scientists. In conjunction with MIT CAST. More information. Dr. Katie Arkema is Lead Scientist for the Natural Capital Project at Stanford University, where her research focuses on adapting to, planning for, and reducing risks from global environmental change. She is particularly interested in understanding the role of ecosystems in coastal risk reduction and climate adaptation. Katie leads several efforts around the world to quantify the ways in which ecosystems benefit society and to understand how decisions made by key actors, organizations and communities influence ecological dynamics and human well-being. Katie’s research is informing national development, climate adaptation, and restoration investments in the United States, Latin America, and Africa. She holds a Ph.D. in Ecology, Evolution and Marine Biology from the University of California, Santa Barbara and a B.A. in ecology with a minor in Latin American studies from Princeton University. Katie is a Fulbright NEXUS scholar. Don Blair’s work focuses on cooperative approaches to research, development, and governance of technology in the areas of agroecology, regenerative agriculture, food and water security, and climate-related risk mitigation. He is currently a Research Associate at Edge Collective, where he working to develop ‘open infrastructure’ for researchers and farmers contending with extreme or resource-constrained environments. He also co-organizes BARN: the Boston Agroecology Research Network. Don has also recently served as Open Water Fellow at Public Lab; Research Affiliate at Center for Civic Media at the MIT Media Lab; researcher and strategist at Food+Future; Citizen Science Liason for FarmHack; and as an organizer for the Gathering for Open Agriculture Technology (GOAT). He holds a BA in Ancient Philosophy and an MS in Soft Matter Physics from the University of Massachusetts Amherst. John Bolduc works on climate change initiatives and projects in the City of Cambridge Community Development Department. He manages the City’s Climate Change Vulnerability Assessment and the Climate Change Preparedness and Resilience Plan; coordinates the Climate Protection Action Committee, an advisory group to the City Manager on local climate change policy and implementation; administers the Building Energy Use Disclosure Ordinance; and participates in a range of other municipal sustainability efforts. John has been with the City of Cambridge since 1997 and has over 30 years of experience in municipal sustainability and environmental protection. Nasser Brahim is a Senior Climate Change Planner at Kleinfelder, a multidisciplinary engineering and design firm. He helps clients throughout Massachusetts prepare for climate change by assessing their vulnerabilities and developing resilient planning, operational, and design solutions. Nasser has over a decade of domestic and international experience related to climate change, infrastructure, and the environment. He holds a Master of Environmental Management degree from the Yale School of Forestry & Environmental Studies. Pippa is the Director of Planning and Resilience at SCAPE Landscape Architecture where she works with interdisciplinary teams to craft designs that balance environmental, infrastructural, and community quality of life needs. Pippa is currently managing the implementation of SCAPE’s Living Breakwater’s project, an innovative coastal resilience project in New York City. Other recent work includes contributions NYC’s Strategic Initiative for Rebuilding and Resilience; the New York Rising Community Reconstruction Program; the National Disaster Resilience Competition; and Norfolk, Virginia’s Ohio Creek watershed project. Pippa is also an instructor in the Urban Design Department at Columbia University. Dr. Candis Callison is an Associate Professor at the Graduate School of Journalism at UBC. Her research and teaching are focused on media change, journalism ethics, the role of social movements, and understanding how science and technology become meaningful for diverse publics. Candis is the author of How Climate Change Comes to Matter: The Communal Life of Facts (Duke University Press, 2014). Her current research explores journalism practices in the Canadian Arctic, and she is in the midst of finishing a co-authored book on gender, colonialism, technology, and journalism. Candis has a PhD from the Program in Science, Technology, and Society at MIT, and Master of Science from MIT’s Comparative Media Studies Program. She is a member of the Tahltan Nation, an Indigenous people located in northwestern British Columbia, Canada. Phebe was lead research scientist at the Urban Metabolism Group at MIT, where she devised a new urban mapping method to analyze natural resource flows. She has a Belgian architecture license and has worked in architecture and urban design practice for several years.She holds a Masters degree in Urbanism from MIT, being a Fulbright and BAEF fellow; and a Masters degree in Civil Engineering-Architecture from Leuven University. She has past research and working experience in Bangladesh, Rio de Janeiro, San Francisco, Boston, Fiji and Africa. She currently works as a policy officer at the European Commission. Paul N. Edwards is William J. Perry Fellow in International Security at Stanford University and Professor of Information and History at the University of Michigan. He writes and teaches about the history, politics, and culture of information infrastructures. Edwards is the author of A Vast Machine: Computer Models, Climate Data, and the Politics of Global Warming (MIT Press, 2010) and The Closed World: Computers and the Politics of Discourse in Cold War America (MIT Press, 1996), and co-editor of Changing the Atmosphere: Expert Knowledge and Environmental Governance (MIT Press, 2001). Recent articles include “Knowledge Infrastructures for the Anthropocene,” Anthropocene Review (2017) and “Downscaling: From Global to Local in the Climate Knowledge Infrastructure,” in Harvey et al., eds, Infrastructures and Social Complexity (Routledge, 2016). Fernández explores the resource requirements of cities and their economies as founder and director of the MIT Urban Metabolism Group. He also directs the MIT Environmental Solutions Initiative, a major Institute-wide effort to connect the very best research and scholarship with solutions pathways for a sustainable earth. He has been the co-Director of the MIT International Design Center, Head of the Building Technology Program and is a practicing architect. The central component of Peter Galison's work involves the exploration of twentieth century microphysics (atomic, nuclear, particle physics). In particular, he examines physics as a closely interconnected set of scientific subcultures: experimenters, instrument makers, and theorists. For example, in How Experiments End (Chicago, 1987), he examined the ways in which experimenters come to the decision that they have an effect, not an artifact of the apparatus or environment. What role does theory play in the establishment of data reduction strategies, in triggering, or in the experimental set-up itself? How do large groups decide something is real? More recently, he has been interested in the long-standing competition between image-producing instruments such as bubble chambers, cloud chambers, and nuclear emulsions on one side, and the "logic" devices such as counters, spark chambers, and wire chambers on the other. Image and Logic: A Material Culture of Microphysics (Chicago, 1997) examines this duality and seeks to locate specific experimental technologies in the wider scientific and nonscientific world. Professor Galison is now turning to a history of postwar quantum field theory, in which he views QFT as a "trading zone" between different domains of physics (e.g. particle cosmology, mathematics, condensed matter physics). On the side, he has tried to examine links between the history of science and neighboring fields - how, for example, historians of science and historians of art share methods and strategies. Rania Ghosn is Class of 1947 Assistant Professor of architecture and urbanism at MIT and founding partner of Design Earth with El Hadi Jazairy. Her research engages the geographies of technological systems to open aesthetic and political concerns on the environment. Her work has been exhibited at Venice Biennale (2018, 2016), Oslo Triennial (2017), Seoul Biennale (2017), Sharjah Biennale (2017) and Sursock Museum (2016), amongst others. She is winner of the Architectural League Prize for Young Architects, Boghossian Foundation Lebanon, ACSA Faculty Design Awards, and Architect's Newspaper Best of Design Awards. Rania is co-author of the forthcoming Geostories: Another Architecture for the Environment (Actar, 2018) and Geographies of Trash (Actar, 2015). She is also founding editor of the New Geographies journal and editor-in-chief of NG 2: Landscapes of Energy (Harvard GSD, 2010). Rania holds a Bachelor of Architecture from American University of Beirut, a Master in Geography from University College London, and Doctor of Design from Harvard University Graduate School of Design. David Gissen is Professor of Architecture at the California College of the Arts and a historian and theorist with a specialty in environmental histories of architecture and urbanism. He is the author of the books Subnature: Architecture's Other Environments and Manhattan Atmospheres: Architecture, the Interior Environment, and Urban Crisis; and he has completed numerous projects and experiments that reconstruct historic environments and landscapes. His current project is "The Environmental Reproduction of Cultural Artifacts." Brian is leading MIT efforts to grow a more climate resilient campus by using climate models to inform decisions by a coalition of climate scientists, MIT building and infrastructure engineers and campus/city government leaders. Brian is also helping to lead the development of a campus-based sustainable materials management strategy informed by a material flow analysis model. Before joining MIT in 2016, Brian worked as an environmental planner and corporate social responsibility advisor for 10 years with AECOM/EDAW, a global design and engineering firm, addressing urban and rural challenges across the U.S., Africa, Asia and the Caribbean. Prior work engagements include United Nations Asia-Pacific Region; James Corner Field Operations; and the New York City Parks Department. Brian earned a Master of Environmental Management from Yale University and a BA from Union College. Charles Harvey is a hydrologist and biogeochemist in the Environmental Engineering group at MIT. He is known for building large-scale research sites in Bangladesh and in Borneo where he his group has elucidated the cause of arsenic contamination in water and the controls of carbon uptake and emission from tropical forests. He has been awarded the Prince Sultan bin Abdulaziz International Prize for Water and both the Geological Society of America's and the National Groundwater Association’s awards for major scientific contributions to hydrology. He was also the scientific adviser to the only large-scale private geologic carbon sequestration enterprise. Lodovica Illari is a Senior Lecturer in the Department of Earth, Atmospheric and Planetary Sciences, Massachusetts Institute of Technology, Cambridge, MA. She earned a Ph.D. in Atmospheric Sciences at Imperial College, London, in 1982. A synoptic meteorologist, she teaches large-scale dynamics and synoptic meteorology in MIT’s undergraduate and graduate programs. She is responsible for the Synoptic Laboratory: http://synoptic.mit.edu. Illari’s research interests are in synoptic meteorology, severe weather and atmospheric blocking. She is also involved in (i) developing innovative teaching methods that combine fluid laboratories with synoptic data and (ii) outreach to the public and schools. For more see Weather in a Tank - http://weathertank.mit.edu/ . Recently she has collaborated with MIT visiting artist Tomas Saraceno on the Aerocene project, speculating how solar/infrared balloons can be used to teach about earth climate and sample atmospheric constituents – see http://synoptic.mit.edu/aerocene-collaboration/. Caroline A. Jones is Professor in the History, Theory, Criticism section of the Department of Architecture at MIT. She studies modern and contemporary art, with a particular focus on its technological modes of production, distribution, and reception, and on its interface with science. Jones has also worked as a curator, recently with MIT’s List Visual Art Center: Sensorium (2006), Video Trajectories (2007), and Hans Haacke 1967 (2011). Her exhibitions and/or films have been shown at NY MoMA, SF MoMA, the Hirshhorn in DC, and the Hara Museum Tokyo, among other venues; her publications include Machine in the Studio: Constructing the Postwar American Artist (1996/98, winner of the Charles Eldredge prize), Picturing Science, Producing Art (co-edited, 1998), Sensorium: embodied experience, technology, and contemporary art (as editor, 2006), Eyesight Alone: Clement Greenberg’s Modernism and the Bureaucratization of the Senses (2005/08), Experience: Culture, Cognition, and the Common Sense (co-edited, 2016), and The Global Work of Art (2016). On leave at the National Humanities Center for 2017-18, she is engaged in a collaboration with historian of science Peter Galison, researching patterns of occlusion and political contestations in what she calls "the anthropogenic image" of environmental disaster. Janelle Knox-Hayes is the Lister Brothers Associate Professor of Economic Geography and Planning in the Department of Urban Studies and Planning, MIT. Her research focuses on the ways in which social and environmental systems are governed under changing temporal and spatial scales as a consequence of globalization. Her latest project examines how social values shape sustainable development in the Artic. She is an author and co-author of numerous journal articles, and two books, including Saving for Retirement, and The Culture of Markets: The Political Economy of Climate Governance. She is also the book review editor of the Journal of Economic Geography, and editor for the Cambridge Journal of Regions, Economy and Society. Dr. Upmanu Lall is the Director of the Columbia Water Center and the Alan and Carol Silberstein Professor of Engineering at Columbia University. He has broad interests in hydrology, climate dynamics, water resource systems analysis, risk management and sustainability. He is motivated by challenging questions at the intersection of these fields, especially where they have relevance to societal outcomes or to the advancement of science towards innovative application. He has been engaged in high level public and scientific discussion through the media, the World Economic Forum, and with governments, foundations, development banks, and corporations. He has served on several national and international panels. He was one of the originators of the Consortium of Universities for the Advancement of Hydrologic Science, and is currently the President-Elect of the Natural Hazards Focus Group of the American Geophysical Union. Mia manages the Climate Ready Boston initiative for the City of Boston Office of Environment, Energy and Open Space. In this role, she leads the City's climate adaptation efforts, including implementation of the Climate Ready Boston plan, the City's participation in the Metro Boston Preparedness Taskforce, and collaboration with ongoing planning processes like Imagine Boston 2030, Go Boston 2030 and the Resilience Strategy. She has a Master's in City Planning from MIT's Department of Urban Studies and Planning and a BA from Brandeis University. Erwan Monier is a climate scientist who specializes in improving the representation of human-Earth system interactions in support of decision making, policy implementation and climate mitigation and adaptation solutions. His research interests focus on climate modeling and uncertainty quantification, using a hierarchy of climate models and investigating the uncertainty in global and regional projections of climate change and climate extremes. His interests also include climate impact assessment, using processed-based models, integrated assessment models and econometric impact models. His research aims at improving the modeling of the coupled human-Earth system, focusing on the food-energy-water nexus and on the interactions between climate change, air quality and health. He received a M.Eng. in Hydraulics and Fluid Mechanics from the French National Polytechnic Institute of Toulouse and a Ph.D. in Atmospheric Science from the University of California, Davis. After completing his doctorate, he joined the MIT Center for Global Change Science and Joint Program on the Science and Policy of Global Change as a Postdoctoral Associate, and was promoted to Research Scientist in 2011 and to Principal Research Scientist in 2016. Dr. Nepf is internationally known for her work on the impact of vegetation on flow and transport in rivers, wetlands, and coastal zones. The Nepf Lab studies the interaction of flow with aquatic vegetation and the feedbacks to sediment transport, chemical flux and ecosystem function, developing models for physical processes that determine how vegetated habitats, such as seagrasses, marshes, and mangroves, provide coastal protection, impact landscape stability, improve water quality, and provide blue carbon reservoirs. Guy Nordenson is a structural engineer and professor at Princeton University. Recent projects include the Kimbell Art Museum and the National Museum of African American History and Culture. He co-wrote the book On the Water | Palisade Bay, and helped organize the 2010 MoMA exhibition “Rising Currents.” Current research initiatives include “Structures of Coastal Resilience” in collaboration with the USACE and the Regional Corridors design competition with the Regional Plan Association, both supported by the Rockefeller Foundation. Paul A. O'Gorman is an Associate Professor of Atmospheric Science at MIT. His research interests are in the large-scale dynamics of the atmosphere and the role of water vapor in the climate system. He is particularly interested in the effect of climate change on atmospheric circulations and on the distribution of precipitation. Rajul (Raj) Pandya is the founding and current director of the American Geophysical Union’s Thriving Earth Exchange (TEX). TEX helps volunteer scientists and community leaders work together to use science, especially Earth and space science, to tackle community issues and advance local priorities related to sustainability, resilience, and environmental justice. Raj has led education programs at a National Center for Atmospheric Research, mentored students, taught in college and high school, and done research in atmospheric science, science education, and public health. He has led multi-disciplinary efforts to increase diversity in the sciences, manage meningitis vaccines more effectively in Africa, and improve student learning of weather and climate. Raj was a founding member of the board of the Citizen Science Association, commissioner of Education and Human Resources for the American Meteorological Society. He currently serves on the board for Public Lab and chairs the National Academies committee on “Designing Citizen Science to Support Science Learning.” He holds a Ph.D. from University of Washington for research on thunderstorms. Tapio Schneider studies the dynamics of climate, both here on Earth and on other planets, on scales from clouds to the globe. He aims to elucidate fundamental questions about climate such as, What controls the surface temperatures and winds? What shapes rainfall patterns? Where and when do clouds form in the atmosphere? Answering to such questions are improving our understanding of the climate system and are also informing and increasing the accuracy of climate models. Prior to coming to MIT, Irmak practiced as a sustainable design consultant for six years. She was a member of Buro Happold’s Sustainability team in New York, and later served as an environmental designer at Henning Larsen Architects in Istanbul. During her time in practice, Irmak worked on a range of international building and master planning projects in every phase of design and construction. She developed integrated strategies to improve performance in the areas of energy, water, materials, waste, human health, and ecology. As a LEED Accredited Professional, she led the sustainability certification process on a number of cultural, educational, residential, and commercial projects. Irmak holds a Master of Science in Architecture Studies (SMArchS) from MIT; and a Bachelor of Art in Architecture and a Bachelor of Science in Civil Engineering from Columbia University. She has lectured on sustainable design principles at Cornell, Cooper Union, and the AIA Center for Architecture in New York. Jessica Varner is an architect, historian, and PhD candidate in the History, Theory & Criticism section at MIT. Founder of the research studio Smallerlarge, her research looks at the intersections of environmental history and architecture history through chemicals from the nineteenth century to the present, including production histories, health and hygiene, labor equality, chemical corporations, global industrial development, and building material toxicity. Her dissertation is titled "Chemical Desires (1850-1929): Making the Building Materials of Modernity." Aga Khan Professor in the Department of Architecture and co-director of the Leventhal Center for Advanced Urbanism. James L. Wescoat, is an Aga Khan Professor in the Department of Architecture and co-director of the Leventhal Center for Advanced Urbanism. Jim offers courses on Disaster-Resilient Design and Water-Conserving Design with an emphasis on South Asia and the United States. He has served on and chaired National Research Council committees on Urban Flooding (2018); Delta Waters: Research to Support Integrated Water and Environmental Management in the Lower Mississippi River (2013); and Glaciers, Climate Change, and Implications for Downstream Populations (2012). Allie Wist is an artist, art director, and independent researcher whose work is anchored in food culture, food systems, and the environment. She holds a BA from Boston University and an MA in Food Studies from NYU. She currently teaches food and performance art at NYU and is a contributor to Saveur Magazine. Her work was most recently featured in Promopress's Food Futures: Sensory Explorations in Food Design, and will be on view in Hawaii this spring as part of Honolulu Biennial's Visions of the Future exhibition series. What can models do in a changed climate? In the 1960s, NOAA created the first general circulation models simulating Earth’s oceans and atmosphere, and noted their impact on the global climate system. Since then, models have served as a primary mode of representing, analyzing, translating, and designing the environment in a changed climate. How are models used to understand, and in turn, design our climate-changed world? Through a series of events to be held at MIT in the winter and spring of 2018, including an ideas competition, exhibition, and symposium, we explore how climate-related models of the past, present, and future act in today's climate changed world. The Climate Changed event series is co-sponsored by the MIT Environmental Solutions Initiative and the MIT School of Architecture and Planning. MIT News: What will we eat in the the year 2050?